During the holidays I noticed that Sanford Lawrence Simons had died of cancer aged 92 in Littleton, Colorado. In 1950 he became known to the press as the “plutonium collector” after he was arrested by the FBI for stealing a sample of the deadly new radioactive element from Los Alamos. Simons had been part of the Manhattan Project during the war. But in 1946, he had removed a glass vial from the weapons laboratory. It contained a small amount of the element that had been at the heart of the Nagasaki atomic bomb. In 1950, a few months after Leo Szilard had explained to the American people on national radio how a nuclear doomsday device could be created, FBI officers raided Simons’ home on the outskirts of Denver and, after a brief search, discovered the stolen plutonium hidden beneath the house. In the drawer of a dresser, the FBI men also found several pieces of uranium. That day the 28-year-old research scientist was led away in handcuffs. Afterwards his daughter remembers him joking about the arrest. But at the time it was no laughing matter. 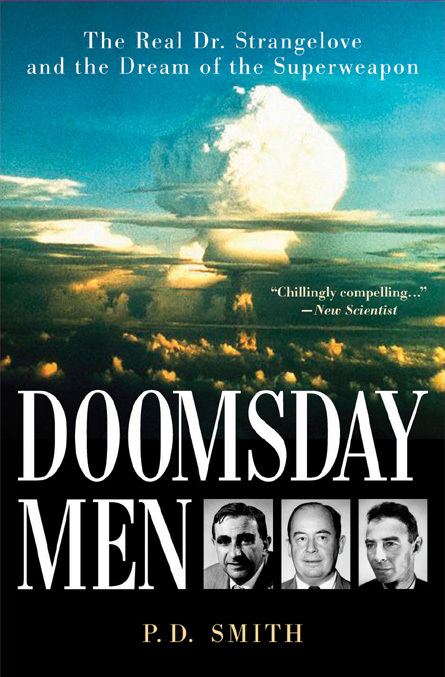 I described what happened and the media reaction to it in my book Doomsday Men. Simons, who had trained as a metallurgical engineer, readily admitted taking the radioactive material, but he claimed it was just a “souvenir” of his time at Los Alamos, which he left in July 1946. Flanked by two impassive FBI men wearing Humphrey Bogart fedoras, Simons talked freely with journalists after he’d been committed for trial. Unshaven and handcuffed, though still clutching his pipe, Simons seemed remarkably unfazed by his predicament. Under the Atomic Energy Act he faced a possible maximum sentence of five years in prison and a $10,000 fine. Just a few weeks earlier, the FBI had arrested Ethel and Julius Rosenberg in New York on suspicion of atomic espionage. They were both convicted the following year and, despite international pleas for clemency including from Einstein, the couple were subsequently executed in the electric chair. One of the press men asked how he managed to smuggle the plutonium out of the top-secret military research laboratory. He explained that the plutonium sample had been lying around on his desk for some time. No one had asked for it back and eventually he simply couldn’t resist it. “There was no real check-up on what was taken out of the place at that time,” he added with a shrug. 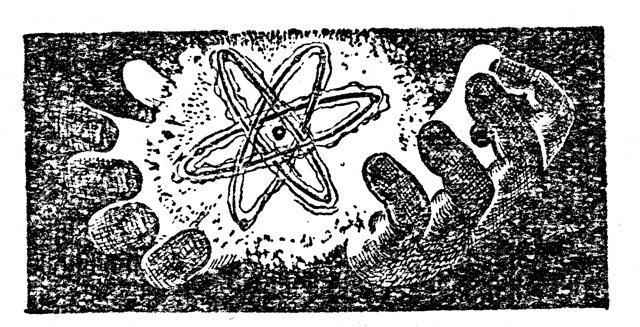 You wouldn’t have guessed it from what Simons said, but in the 1940s fissile elements such as plutonium were more precious than gold to the atomic bomb project. They were the result of a vast expenditure of money and effort. Whole cities of workers laboured to produce these lethal elements in vast industrial complexes specially built for the Manhattan Project. Each gram was the product of thousands of man hours. It was not unusual to see scientists down on their hands and knees, sweeping the floor with Geiger counters, hunting for the smallest stray piece of metal that might have been dropped. Sometimes the Geiger counter would crackle furiously as it passed over a tiny orange or black speck on someone’s lab coat, revealing the tell-tale signs of dangerous radioactivity. Even the smallest scrap of fissionable matter was extremely valuable and as a result lab coats were treated routinely with chemicals to reclaim these elements. The journalists pressed the FBI agents who arrested Simons as to how much the plutonium in the vial was worth. Eventually one said he’d heard figures ranging from $500 to $200,000. Sanford Simons hid the stolen plutonium under his house. He had good reason to. Plutonium has been called the most dangerous element on earth. With three small children, Simons wanted it out of reach. The glass vial and its deadly contents remained in its hiding place for four years. The FBI only became aware of it after they were tipped off. Simons had let slip in conversation with a friend that he had some plutonium. Perhaps his sense of guilt led Simons to make an unwise comment. Or maybe, just once, this modest scientist was tempted into an idle boast. 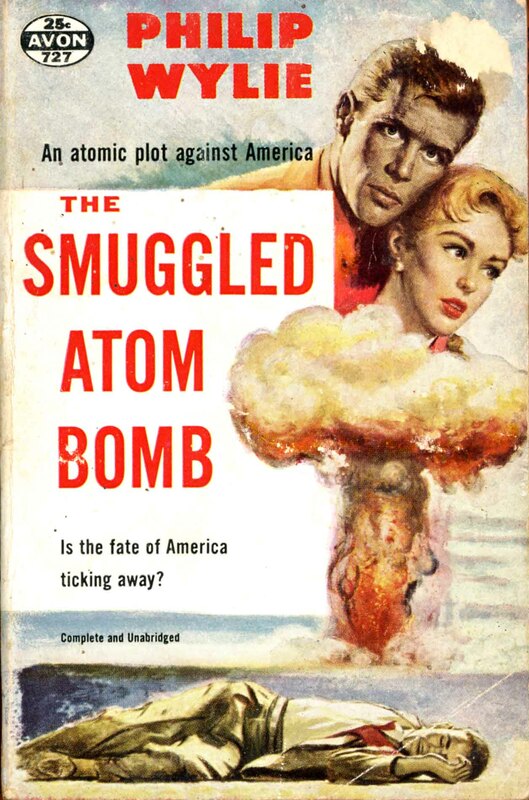 But in the year that Senator Joe McCarthy was stoking fears about a Communist fifth column infiltrating American society, to admit that you had a key ingredient for an atomic bomb stashed in your home was simply asking for trouble. During his trial, the defence pointed out that Simons had never been in trouble with the police. More importantly, he was not a “Red” and had no “Communist connections.” The defence attorney based his case on the popular image of the scientist. He argued, somewhat unconvincingly, that scientists are “all darned fools” when it came to experiments. He claimed that scientific curiosity alone had prompted Simons to take the plutonium and uranium in 1946. It was a case of the irresistible allure of forbidden knowledge, your Honour, and, as everyone knew, no scientist worth his slide-rule could resist that. But Judge Lee Knous was not particularly impressed by this defence. For taking a pinch of plutonium, the disgraced scientist was sentenced to 18 months in a Federal prison. But I bet he never forgot the time when he first picked up that valuable though deadly sample of plutonium and realised that he could simply pocket it and walk out of the top-secret Los Alamos laboratory. It’s not surprising that Simons wasn’t the only Los Alamos scientist who longed to own a souvenir of the Manhattan Project. Otto Frisch, whose calculations of critical mass were crucial in the early stages of the atomic bomb project, shared Simons’ dangerous fascination with the new atomic elements. When the silvery blocks of highly fissionable uranium-235 were first delivered to Los Alamos in April 1945, Frisch felt an overwhelming “urge to take one”. They were the first samples ever made of uranium-235 metal, the element that would blast the heart out of Hiroshima. Strangely, Frisch thought the heavy metal would make a nice paperweight. I’m glad things went well for Simons, after his brush with the FBI in 1950. 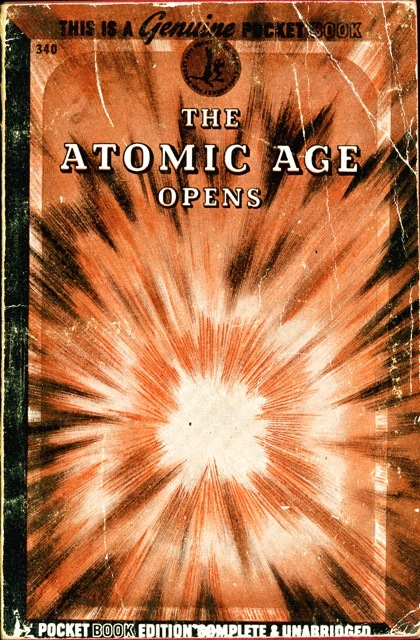 In my book I explored how the world became obsessed with the dreams and nightmares of the atomic age, terrified by mad scientists and filled with hope by saintly ones, such as Einstein. Despite his one brief moment of atomic madness, Sanford Simons seems to have been a reassuringly grounded sort of guy. An everyday kind of scientist. And in the end I guess that’s the best kind there is. If you’ve enjoyed reading this post, which is based on my book Doomsday Men, then you might like to consider reading the whole book. You can buy absurdly cheap copies of it now on Amazon, or if you really want to support me and my writing you might like to consider buying the e-book. You can buy it direct from Penguin (ePub) or from Amazon in the UK (Kindle), or Barnes & Noble (Nook) in the US. Thanks for reading! My father was acquainted with Mr. Simons (whom he refers to as "Sandy") at Los Alamos. I have heard stories of him all my life, but this is the first time I have seen actual verification that some of Dad's memories were correct. Dad will be 95 this month and I think I'll try to get a copy of this book for him.